To Gather Island is an adventure sandbox that brings together many of the ideas of the popular Don’t Starve. It should be immediately noted that the game is at a very early stage of development, so this is more likely an introduction and it’s very far from a full game. 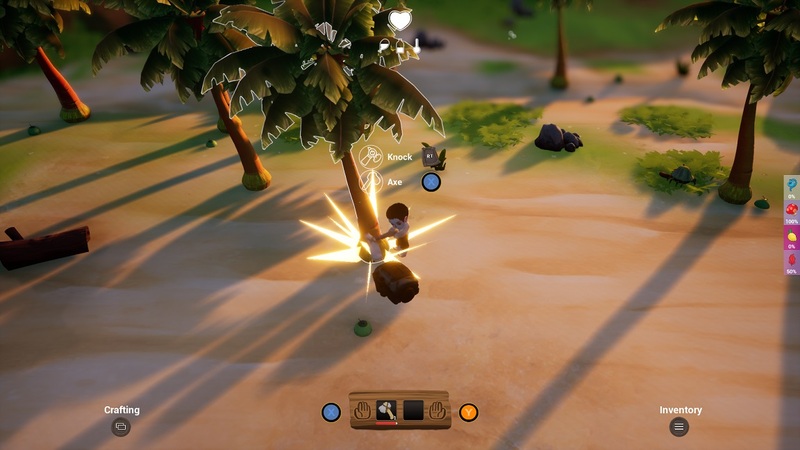 In To Gather: Island you have to survive on a small island with an assistant golem. Gather resources, explore the island, build, craft, grow crops, fight and just try to survive on a fairly dangerous island.